A CFS reader wrote with some really tough questions concerning their infant…. Has she inherited all of my newly introduced probiotics via breastfeeding since she was born? Being a parent is so much pressure!!! I have this little girl’s lifelong health in my hands!!! Increased risk: OLDER age at first solids and concurrent breastfeeding with cows’ milk from any source. Lower bifidobacteria counts in adult patients with celiac disease on a gluten-free diet . It appears that the issue is with Bifidobacteria — but at the species or strain level. That is, some are good and some are bad. See  for a lot of detail in Table 1, including citing explicit strains that appear to be helpful. Of course, the problem is finding these strains commercially. NO L. rhamnosus GG – because multiple adverse results have been reported. While neither Prescript Assist nor General Biotics’s equilibrium were cited – they may qualify under multi-strain probiotics. “Unfortunately, gluten has proven to be toxic for a proportion of people that in the last few decades has been constantly rising (Rubio-Tapia et al., 2009). Indeed, the wheat varieties that contain the most detrimental type of gluten have become more common (van den Broeck et al., 2010). This is particularly worrying given that gluten is not only naturally present in bread, cake, pasta, pizza, and beer, but it is—for its binding and thickening properties—also added to an impressive variety of other products. A survey of Australian supermarkets found gluten in nearly 2,000 different food items, ranging from sauces to processed meats, and over 100 non-foods, from pain relievers to shampoos (Atchison et al., 2010). Yet gluten triggers some action as soon as it turns up in the gut—not only in a few sensitive people, but in all of us.”  – Thus avoid all prepared foods, especially baby foods…. made from scratch may be the best path. The results are not consistent across studies. The table below show the shift reported. Some items are in both list. 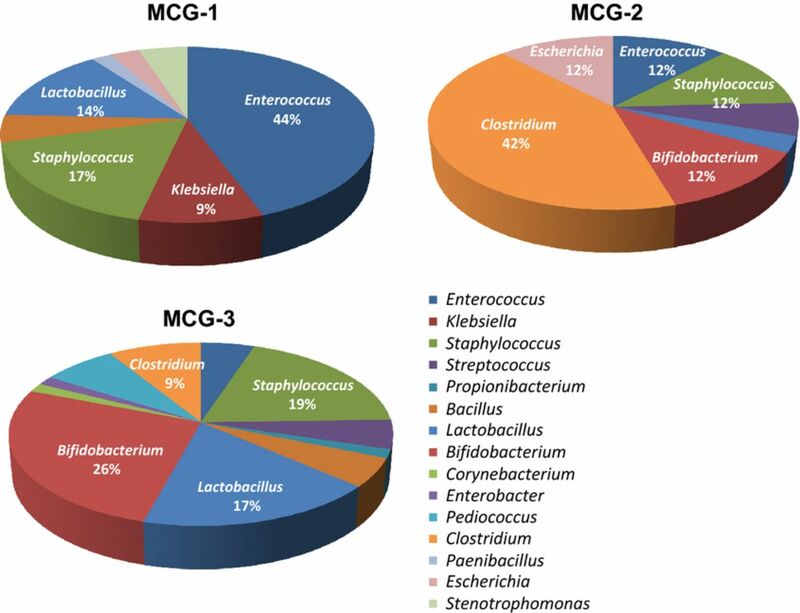 My general conclusion is that general lactobacillus probiotics should be avoided, but a few select one are suggested. The increase of diversity suggests that evil strains of lactobacillus and bifidobacteria have populated. These strains may be evil solely because they do not process gluten. I don’t know if you’ll find anything interesting here but his articles are always interesting if not. As a ‘gluten’ intolerant, who seems to suffer more than the coeliacs I know if I get spiked, the following was interesting. Top three articles in particular.